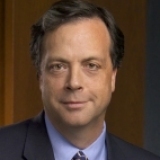 Ian Dantzer is Managing Partner and Chair of Lerners LLP. Having been in this position for over seven years, but has 28 years of experience with the firm and 33 years of experience as an attorney. His goal is to get back into litigation, build a commercial litigation practice, and to take on more high-end clients. What inspires Ian to practice law, is the challenging work that is involved. Not one to back away from a challenge, he attributes success to his diligence in efforts to serve his clients and the firm. He received his JD/LLB in Law from Western University in1980 and his HBA in Political Science from Wilfrid Laurier University in 1977. He has been the recipient of numerous awards, most recently, “Best Lawyers In Canada,” (2015) and Corporate & Commercial Litigation "Lawyer of the Year" for 2015 in the London/Windsor Region.